In commemoration of the International Day of Universal Access to Information (IDUAI) on 28 September 2017, the Media Institute of Southern Africa (MISA) launches its annual Transparency Assessment in eight southern African countries. Eight national MISA Chapters, together with local researchers, sought to determine the ease or difficulty with which citizens can access information held by public institutions in their respective countries. The Transparency Assessment reflects on the experience of researchers from Botswana, Malawi, Mozambique (Portuguese), Namibia, Swaziland, Tanzania, Zambia and Zimbabwe in their quest to exercise their right to information. The study establishes whether institutions make information proactively available via an online presence and provide useful information upon request. “This year, on 28 September, access to information in the context of development is taking the centre stage in global discussions on the achievexment of the Sustainable Development Goals (SDGs). Access to information can facilitate an inclusive and informed debate on critical developmental issues; empowering citizens with a voice, a choice and control over decisions that directly impact their lives,” says Luckson Chipare, Chairperson of the MISA Trust Funds Board. “It is in this context that we raise awareness on every citizen’s right to information with our annual report, which celebrates progress made and cautions where development is still needed,” he concludes. With Tanzania and Malawi having adopted access to information laws in 2016, six countries in southern Africa now have a law guaranteeing their citizens a right to information. This positive trend in the adoption of access to information legislation needs to be accompanied by its effective implementation. The laws in Malawi and Tanzania have not yet been operationalised and Mozambique’s law, which was passed in December 2014, has not yet been fully implemented. In 2017, several researchers experienced frustration in requesting information; many having to provide reasons for their requests and being questioned as to their motives of seeking information. Throughout the region it was observed that public institutions’ personnel designated to handle information requests often lack the authority to share information without permission from a higher office, which unnecessarily complicates and delays the information-seeking process. On a positive note, some public bodies were exemplary in their provision of services, responding speedily, being helpful, accommodating and open to any follow up questions may they arise at a later stage. With e-governance becoming more prominent in Africa, institutions are increasingly making use of various online platforms to engage with the public, including social media. The release of useful information via websites has also improved; Malawi in particular has seen positive developments with regard to public bodies’ online presence, both in quality and quantity. 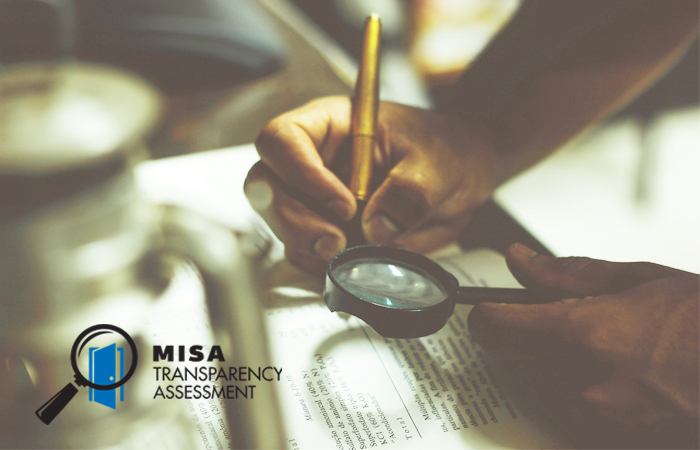 Acknowledging the importance of access to information and transparency for sustainable development, MISA continues to promote government openness in southern Africa and advocates for the adoption of legal frameworks guaranteeing the free flow of information. With the positive developments in some countries’ public institutions, MISA hopes that the new standards set will be followed by other public entities. (The full report and overview are available online).